The Borg BL2000 series is a range of fully mechanical pushbutton coded locks. 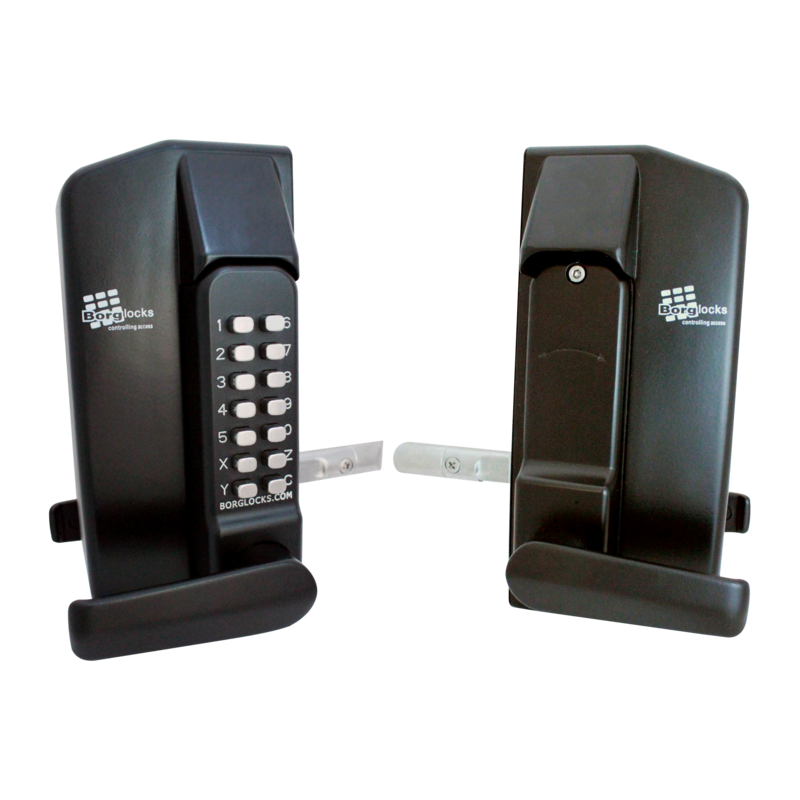 The BL2021 features a back to back keypad to provide keyless entry to authorised code holders only. With its ergonomic design and attractive finish, as well as having components treated for strength and durability, the BL2021 provides a stylish and strong security solution. The BL5201MG digital lock is part of Borg’s Marine Grade Pro series which have been specially designed for marine applications where ISPS compliance is necessary. 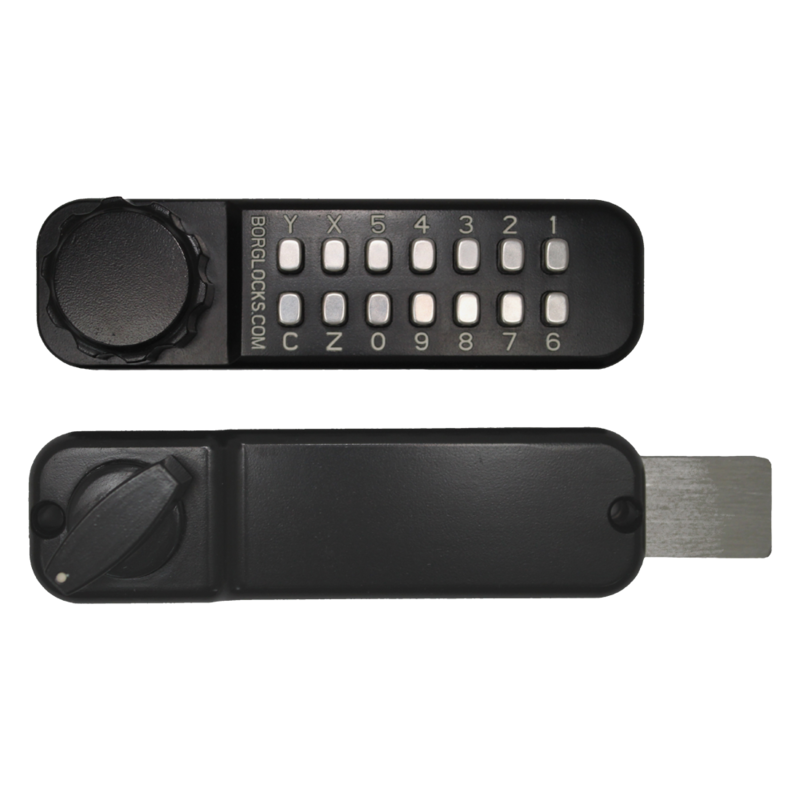 This non-handed medium to heavy duty digital lock is suitable for use on DDA applications and comes with a 60mm latch, 12 large indented buttons and a clutched handle which protects against forced entry and lock damage. Cycle tested to 100,000 operations and salt spray tested for over 1000 hours, the BL5201MG is a digital lock for the toughest environments. 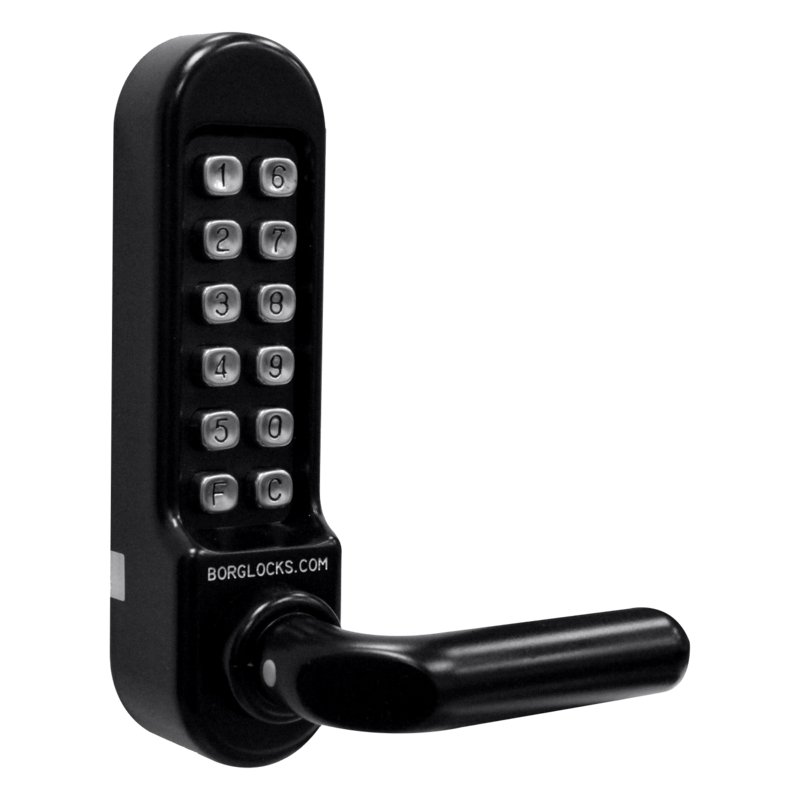 The Borg BL2201 Digital Lock comes standard with a 60mm latch and an optional free passage feature which can be disabled if not required. 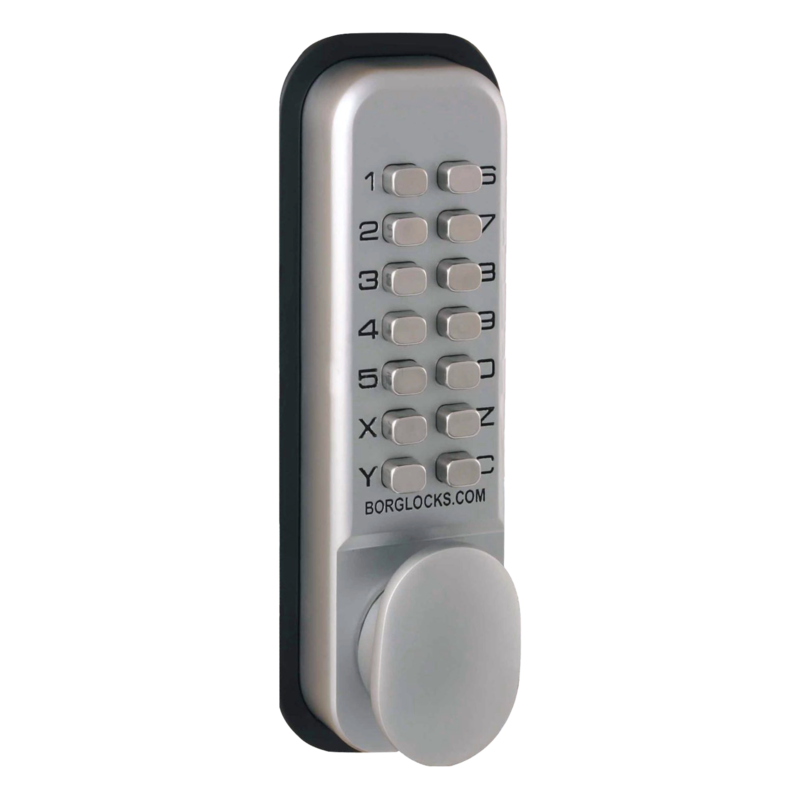 This non-handed fully mechanical digital lock with 14 button keypad and inside handle is suitable for use on internal applications. BORG LOCKS Easicode Pro Digital Lock with Optional Holdback features the new Easicode Pro `on door` code change function, specially designed for situations in which the code may need to be changed frequently. It is ideal for all light-duty internal timber doors, and fully reversible for both right and left hand hung doors. It also has optional holdback snib, and an `early clear` function to ensure quicker relocking. 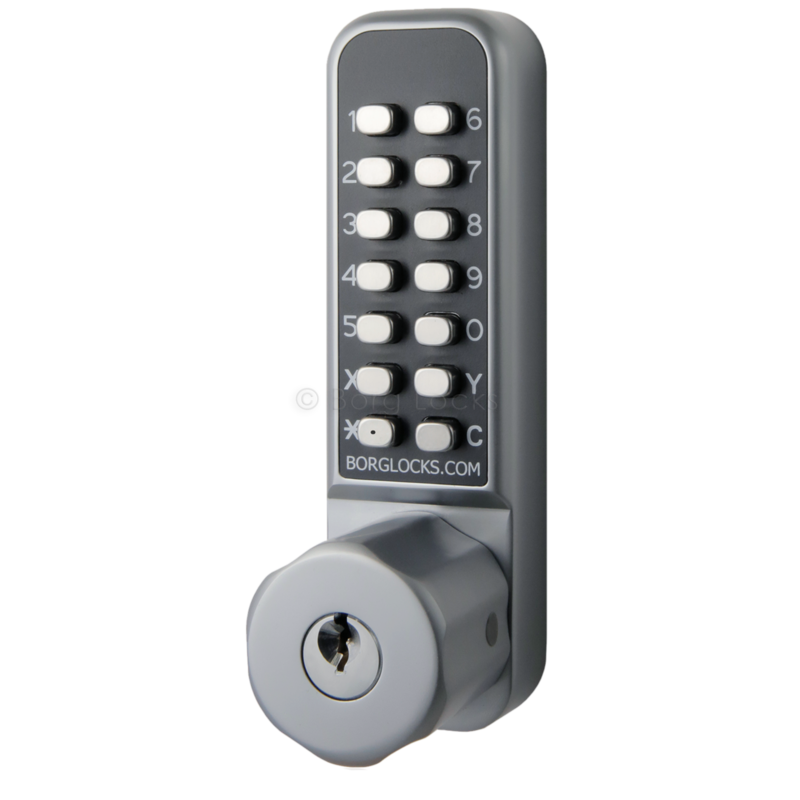 The Borg BL2401 Easicode Digital Lock comes standard with a 60mm latch and an optional holdback which can be removed if not required. 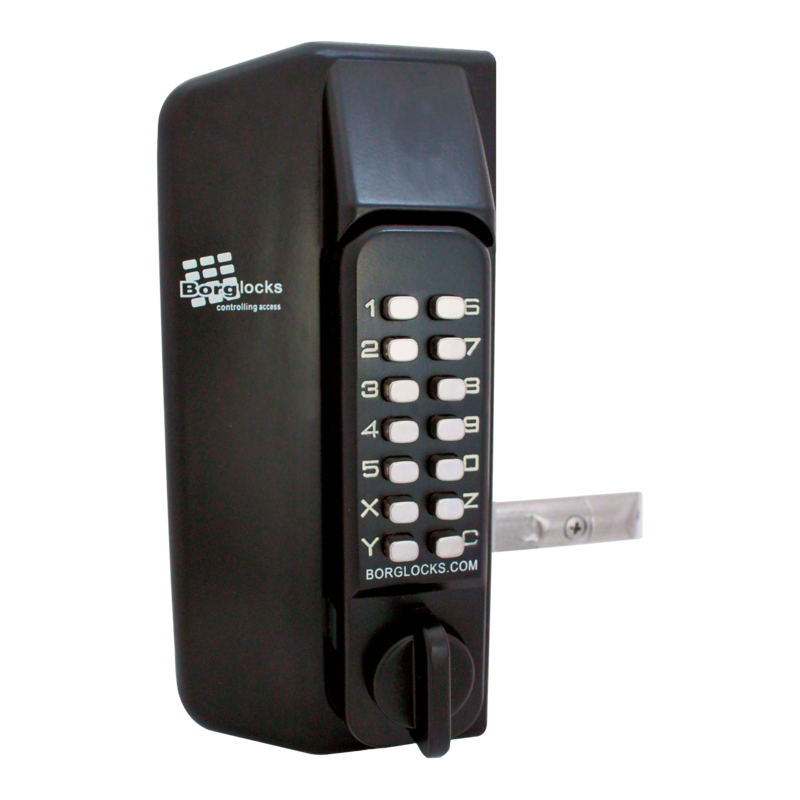 This non-handed medium duty digital lock is suitable for use on doors with a thickness of up to 54mm where frequent code changes are required. Reset the code in a matter of seconds with the new Easicode changing method which requires no tumblers to be removed. 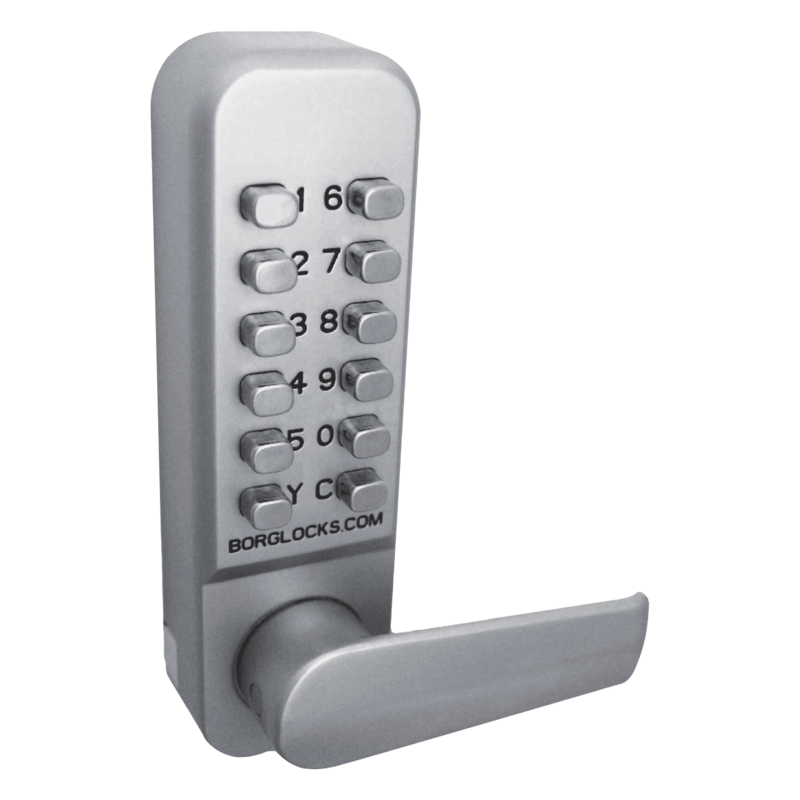 The BL2601MG digital lock is part of Borg’s Marine Grade Pro series which have been specially designed for marine applications where ISPS compliance is necessary. 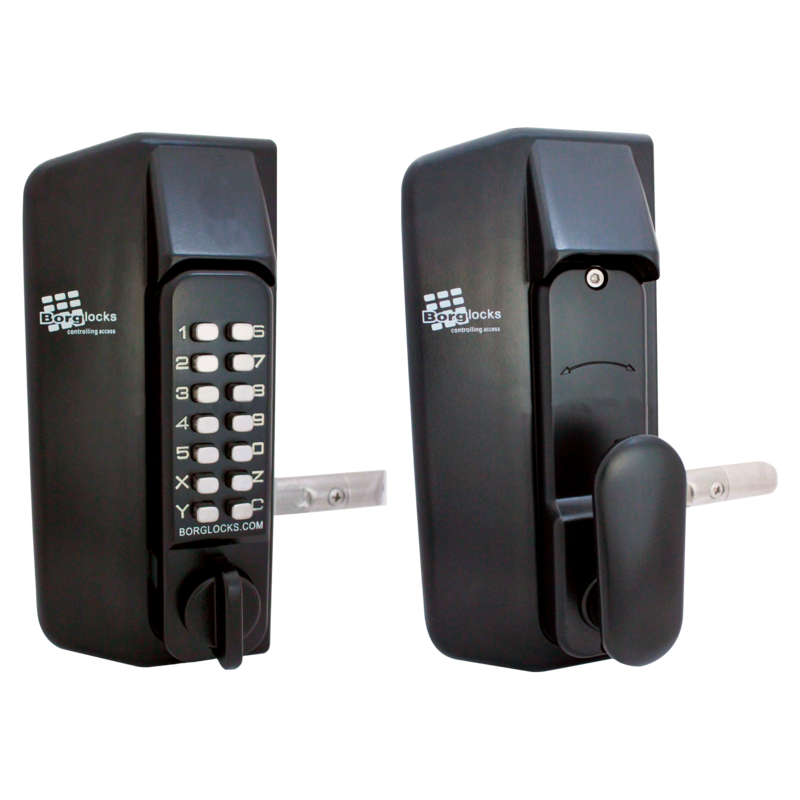 This non-handed medium duty digital lock comes with a 60mm latch and optional holdback which can be removed if not required. Cycle tested to 100,000 operations and salt spray tested for over 1000 hours, the BL2601MG is a digital lock for the toughest environments. The BL2605MG digital rim lock is part of Borg’s Marine Grade Pro series which have been specially designed for marine applications where ISPS compliance is necessary. This easy to install non-handed rim lock has been cycle tested to 100,000 operations and salt spray tested for over 1000 hours. The BL2615MG horizontal digital rim lock is part of Borg’s Marine Grade Pro series which have been specially designed for marine applications where ISPS compliance is necessary. This easy to install code operated horizontal rim lock has been cycle tested to 100,000 operations and salt spray tested for over 1000 hours and is ideal for applications where vertical height is a concern. 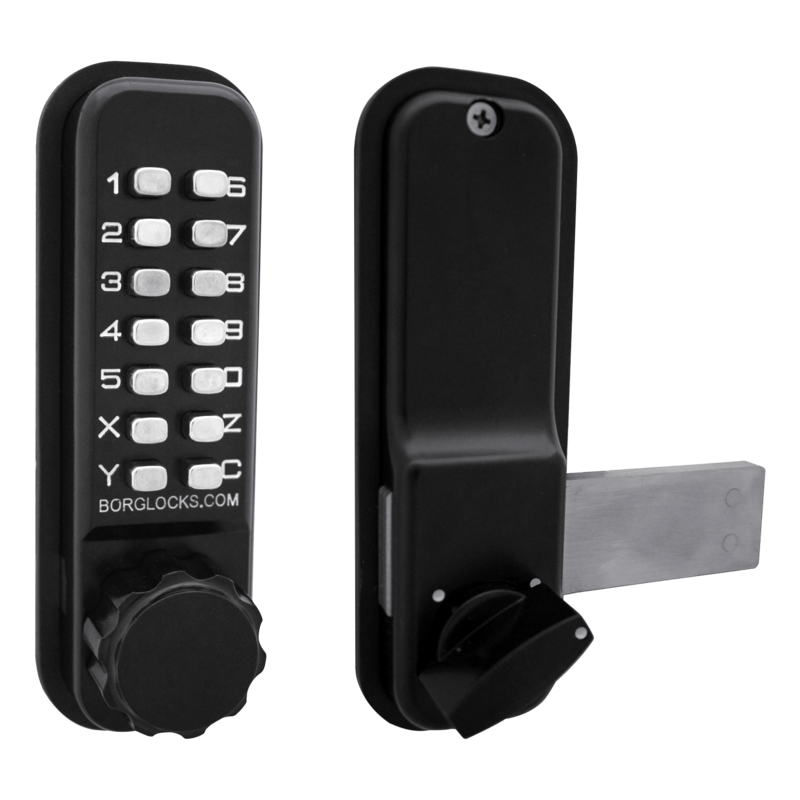 This BORG LOCKS Easicode Pro Digital Lock with Optional Holdback BL2701 features the super quick `on door` code change function, specially designed for situations in which the code may need to be changed frequently. It is ideal for all light-duty internal timber doors, and fully reversible for both right and left hand hung doors. It also has optional holdback snib, and an `early clear` function to ensure quicker relocking. With the anti-thrust latch designed to prevent tampering and over 4000 different combinations, it is designed to provide secure access control for your premises. This model comes with a key-override mechanism, allowing access to the premises without needing to enter the code provided you have the key. 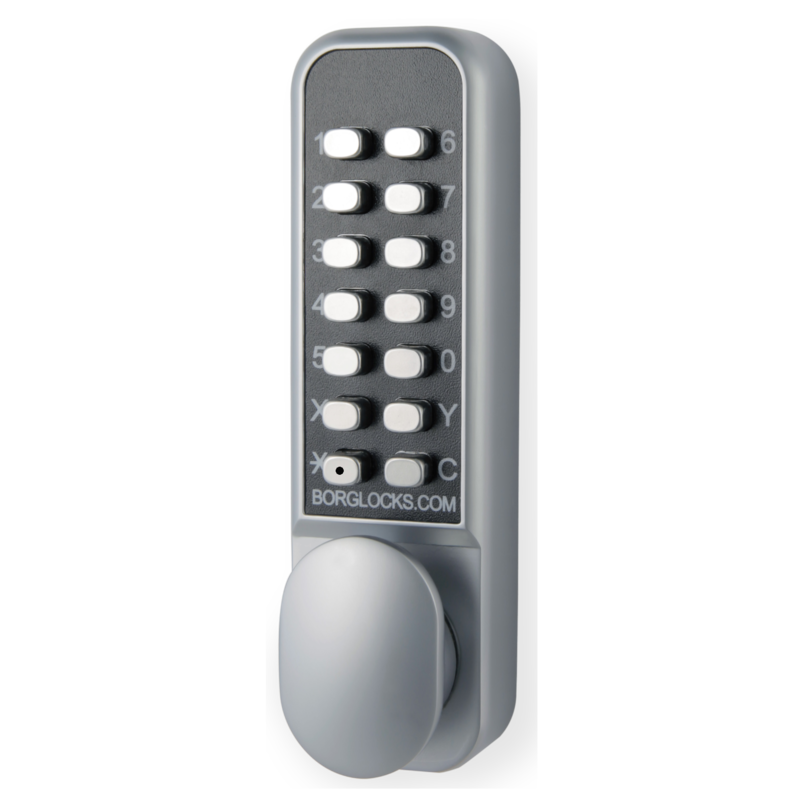 The BL3100 single sided digital lock from Borg is designed to suit metal gates and comes supplied with an external keypad unit and a free-turn inside handle. Supplied with an adjustable spring loaded latch, this lock utilises a forend fixing system for increased security and ease of fit. Completed with a marine grade finish, these reversible units have been salt spray tested over 1000 hours and are available with the option of a deadlocking key override. 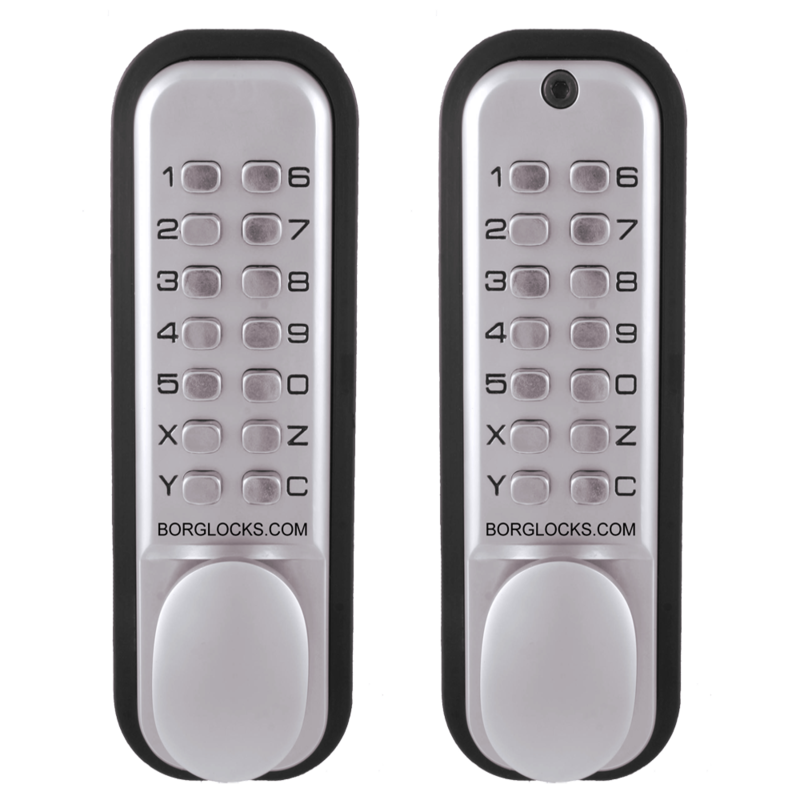 The BL3130 double sided digital lock from Borg is designed to suit metal gates is equipped with a keypad on both the external and internal sides. Supplied with an adjustable spring loaded latch, this lock utilises a forend fixing system for increased security and ease of fit. Completed with a marine grade finish, these reversible units have been salt spray tested over 1000 hours and are available with the option of a deadlocking key override. 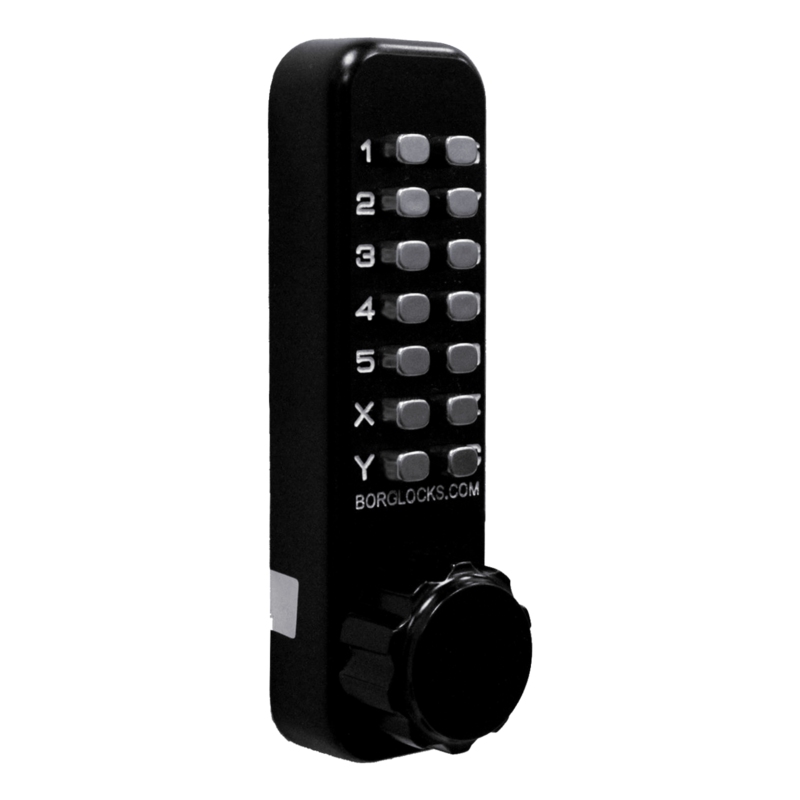 The BL3400 single sided digital lock from Borg is designed to suit metal gates and comes supplied with an external keypad unit and a free-turn inside handle. Supplied with an adjustable spring loaded latch, this lock utilises a forend fixing system for increased security and ease of fit. Completed with a marine grade finish, these reversible units have been salt spray tested over 1000 hours and are available with the option of a deadlocking key override.